We will not be having staffed hours on Saturday, March 16, 2019 due to a company event. 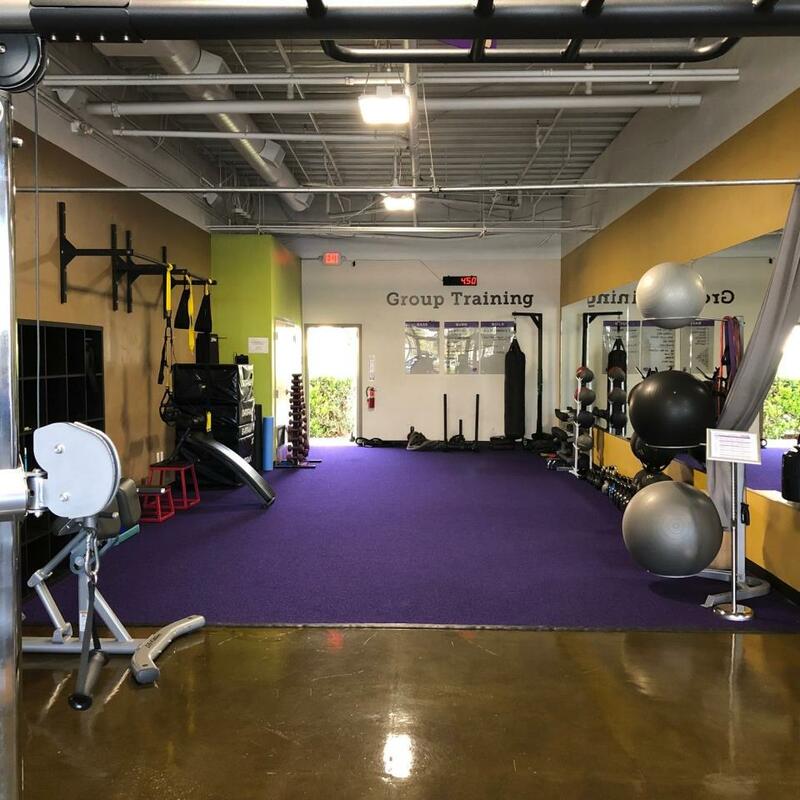 Our gym is open 24/7/365 with key access in Carlsbad, and is conveniently located close to the 5 Freeway and neighboring homes. 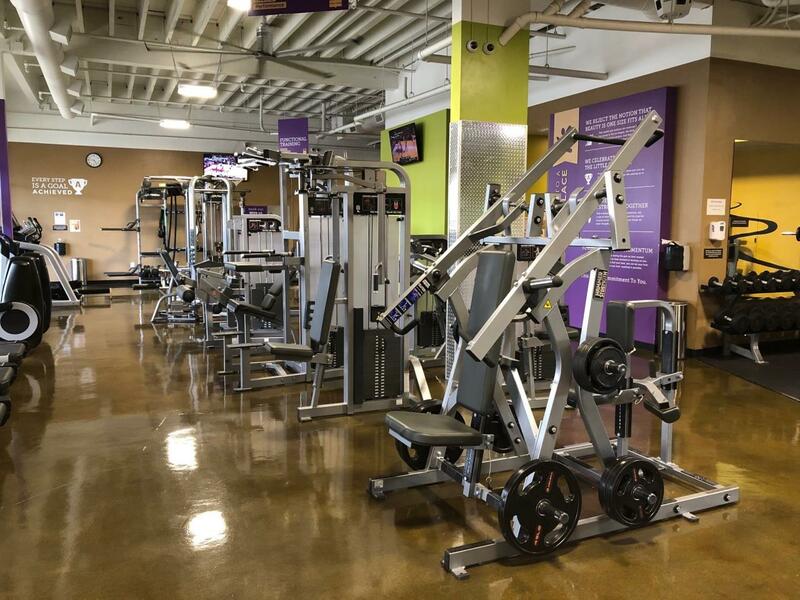 Anytime Fitness gym offers top grade equipment including cardio, strength machines, free weights, functional training, group training, personal training, hydro-massage, private bathrooms with showers, and towel service. Whether you're looking for simple gym access, small team training, and/or personal training, WE HAVE IT ALL! Call us for a tour and/or free gym pass! Are you tired of lacking energy, focus, and confidence? Then join our 28-Day Challenge! You will be given unlimited small group training sessions with a coach, a meal plan, and much much more! 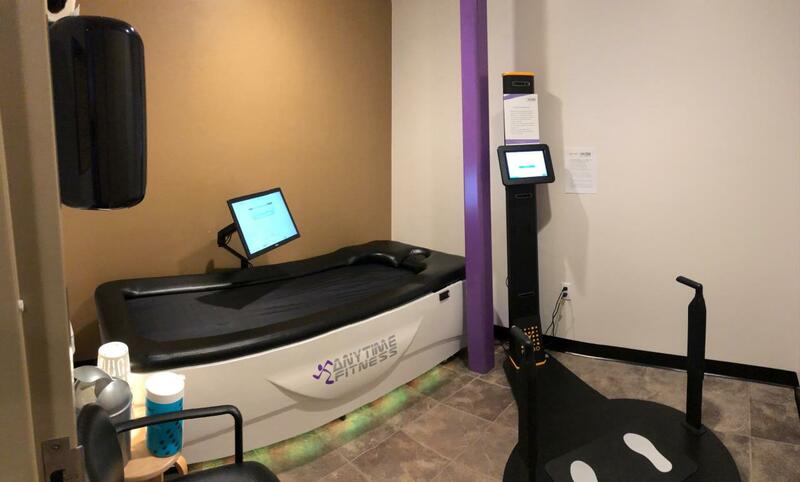 For this month we are offering everyone a free body scan with our Fit3D Body Imaging Machine! Come in for a tour and experience this amazing technology! Click here for more info about what it does! My name is Evan, and I graduated with a Bachelor of Accountancy Degree from George Washington University, Washington D.C. In addition, I received an Associates's degree in Business Administration from Northern Virginia Community College in Woodbridge, VA. While achieving those degrees, I proudly served in the United States Marine Corps for 13 years. While I trained hundreds of Marines, I still to this day have an extreme passion for fitness and understand how important our bodies are to us. This is the reason why I opened this location, and I look forward to seeing you and helping you reach your goals. Moreover, since I have trained Marines throughout my career, it has pushed my desire even more to help everyone get to a healthier place in people's lives. My goals are to help all our members feel welcomed in our club and not be considered "just" a member, but a part of the family. I look forward to seeing you in the club! Hi Everyone! My name is Darrell, and I graduated with a Master in Science Human Resources Management from Troy University, Troy, AL. I also completed a Bachelor of Business Administration from Bernard Baruch College, New York, NY. I am currently active duty in the United States Air Force with 19 years of service as a Healthcare Administrator. “The same pride and professionalism I take working with patients is exactly what I will bring to the club’s members day in and day out. 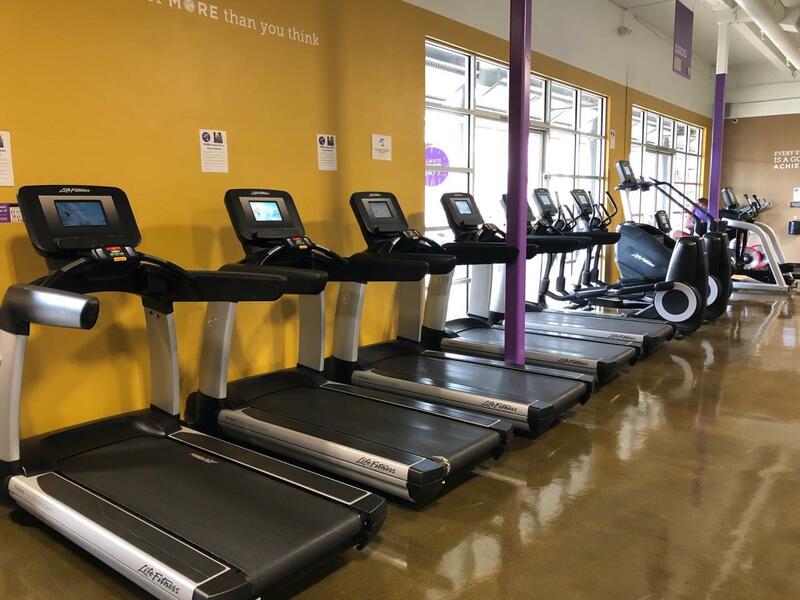 Evan and I are extremely excited to build our Anytime Fitness family and take everyone to a healthier place.” We look forward to seeing you as part of the Carlsbad Anytime Fitness family! Seth Edwards is a Certified Personal Trainer through the (NESTA) in strength training, increasing flexibility and mobility, weight loss, Olympic lifting, and endurance training. Although Seth grew up playing sports such as basketball and running in track and field, he was always referred to as the “skinny kid”. After graduating high school, Seth weighed in at 120lbs and throughout college he found himself struggling to put on weight and eat healthy. In an effort to start leading a more active lifestyle, Seth joined a small gym near his home in Los Osos, California while he was going to school. After being introduced to weight lifting, he was immediately hooked. As time went on, Seth continued to advance his knowledge in nutrition and exercise to maximize results in and outside the gym. It took him 16 months to reach his goal of a healthy 200lbs. His focus is now centered on body building, and he hopes it will lead him to compete later in his fitness career. Matt grew up in Massachusetts, a multiple sport Captain in High School, Life Guard, Snowboard Instructor, Camp Counselor, and went to college at Massachusetts College of Art and Design with a passion for making Skateboarding, Snowboarding, and Mixed Martial Arts videos. After college he relocated to California and became a Trainer at the Apple Store in Carlsbad. After almost 10 years in the Tech. Industry with Apple, Matt experienced firsthand sedentary lifestyles and postural imbalances like “Tech Neck” are far too common and need to be addressed. Matt has gone through his own journey with weight loss shedding 60 lbs and decided to focus his attention towards fitness, helping others achieve a healthier lifestyle. Matt’s interest span the spectrum from Mountain Biking, performing vocals in a Heavy Metal band, to playing video games, and is also an Ordained Minister. I have been a personal trainer for over 20 years. I have worked with a wide variety of clients at different fitness levels. I am passionate about providing clients with challenging programs while also being flexible based on goals, injuries, life events etc. I love introducing clients to exercise and helping them enjoy it as much as possible. Through developing relationships with clients, I have helped them gain strength, prepare for an event or a race, lose weight, improve their posture, prepare for a birth and come back after the birth, gain confidence, and most importantly, find what works best for them both mind and body. I am a big believer in the mental benefits of exercise. Sometimes a challenging workout is just as important for stress relief as it is for physical goals. My goal is to have you leave our sessions feeling better (both physically and mentally) than when you arrived.